Buying a larger home is very expensive in The Greater Toronto Area. But, if you want to make your current home larger, Pour Concrete can help you with it. The reputed concrete contractor will help you in adding space to your basement and provide you with an opportunity to use it optimally. Why is Lowering Basement Floor a Good Option for Home Owners? Why choose Pour Concrete for Lowering your Basement Floor? How can Pour Concrete lower my Basement Floor? If you do not want to excavate under the footing or if the concrete foundation of your home is not strong enough to survive an excavation, the bench-footing technique is suggested by Pour Concrete. It is less time-consuming and cheaper than underpinning. 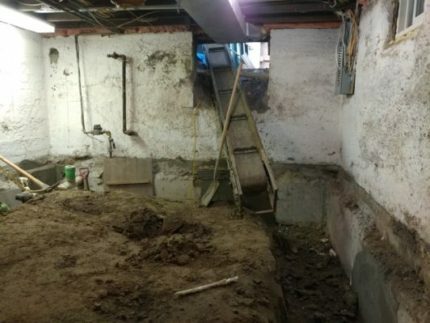 Read more… Pour Concrete not only helps you to lower your basement floor but it also provides restoration to old and historical buildings of the Greater Toronto Area. If you are looking for someone with wide experience of restoring walls, doors, windows or facades, you can trust Pour Concrete for excellent workmanship. Read more… Pour Concrete is the ideal full-service company for lowering your basement floor in Greater Toronto Area. Call us on 647-368-6206 or obtain an online free estimate today and get ready to give your basement a brand new and comfortable look.